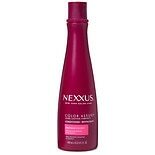 Shop Nexxus Color Assure Shampoo for Color Treated Hair (13.5 oz. )13.5 oz. $1349$13 and 49 cents$1.00 / oz. Shop Nexxus Color Assure Shampoo for Color Treated Hair (33.8 oz. )33.8 oz. $1679$16 and 79 cents$0.50 / oz. 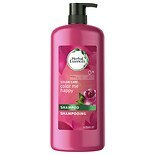 Shop Garnier Fructis Color Shield Fortifying Shampoo for Color-Treated Hair (12.5 oz. )12.5 oz. 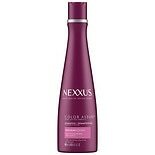 Shop Nexxus Color Assure Conditioner for Color Treated Hair (33.8 oz. )33.8 oz. $2749$27 and 49 cents$0.81 / oz. 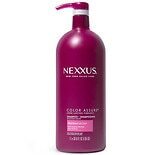 Shop Nexxus Color Assure Conditioner for Color Treated Hair (13.5 oz. )13.5 oz. $1999$19 and 99 cents$1.48 / oz. 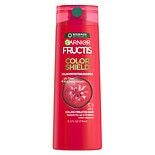 Shop Garnier Fructis Color Shield Fortifying Conditioner for Color-Treated Hair (12 oz. )12 oz.